The events of April 16, 2007 at Virginia Tech had a massive impact on my 4 years in Blacksburg. As a freshman during the 2006-2007 school year, I watched as the campus I had just become accustomed to was transformed overnight. The after-effects of this event were seen on almost every college campus in the form of increased police presence, the rollout of SMS-based emergency communications systems, mass notification signage and other campus safety devices. Virginia Tech rolled out its own safety gear, including one very high-profile program, VT Alerts. 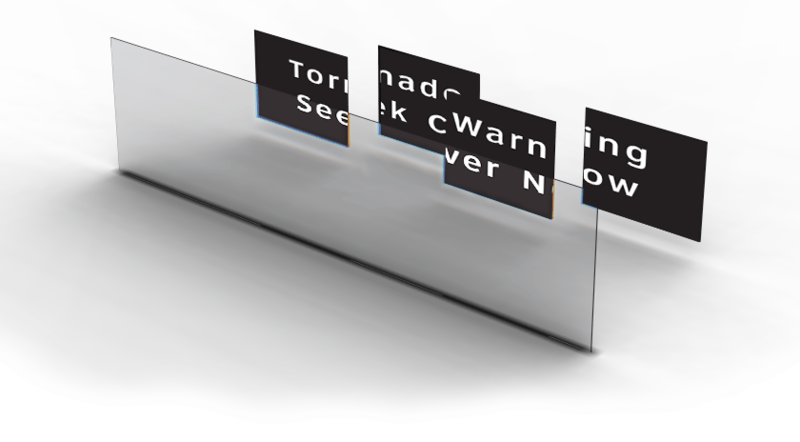 VT Alerts consists of several communications mediums, including an SMS gateway based on 3N's technology & mass notification signage based on devices from Inova Solutions. 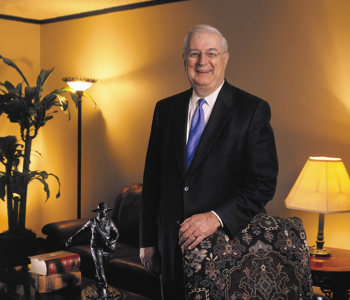 When I saw the installation of the Inova Solutions OnAlert devices, I was appalled. The signage was nothing more than a repurposed, scrolling LED sign. 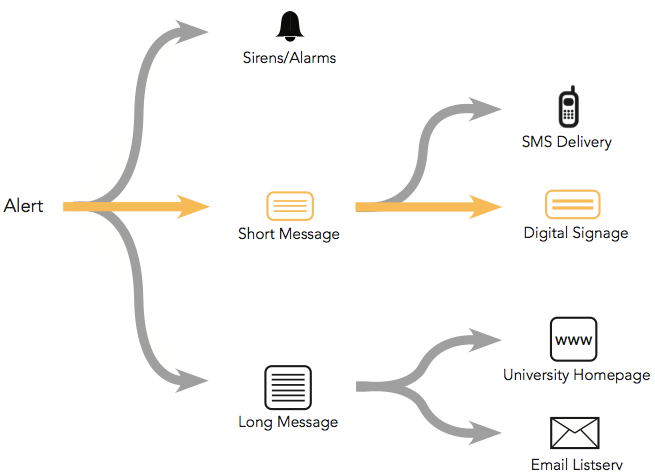 Why isn't there a device designed specifically for campus mass notification? Shouldn't these devices designed to be read from long distances in stressful situations? The answer to this question forms the basis of my undergraduate Industrial Design thesis at Virgnia Tech. Can technologies from other sectors of industry be utilized to improve campus digital signage to make it easier to read, more accessible and more effective at communicating its message? 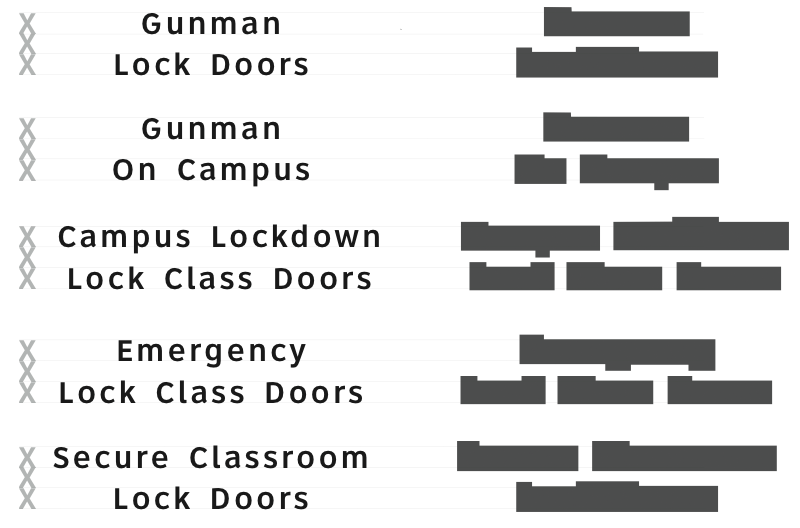 Localized, minor incidents that occur on campus that can be resolved with existing university resources. Major incident that effects a sizeable segment of the campus. Emergency Action Plan may be activated. 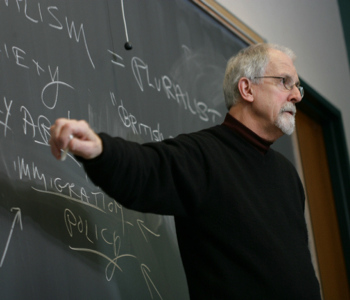 Events that effect the entire campus and cannot be solved with regular resources. Coordination with State/Federal officials. Digital Signage is just one component of a well-designed campus alert system. 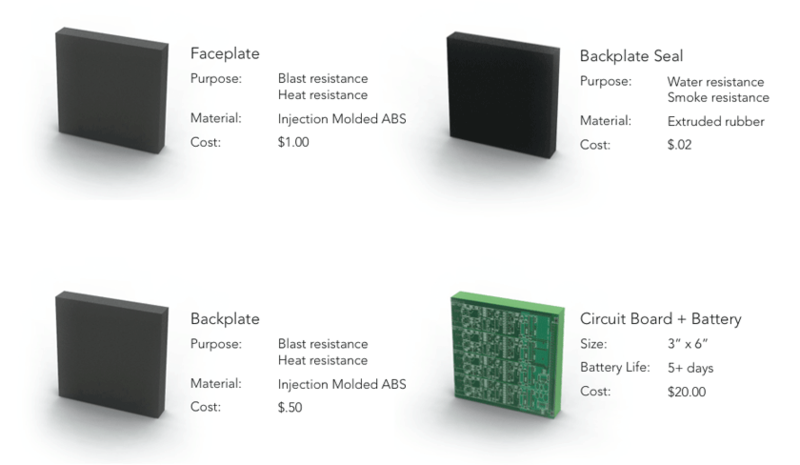 Signage is one of the most responsive components in most systems. 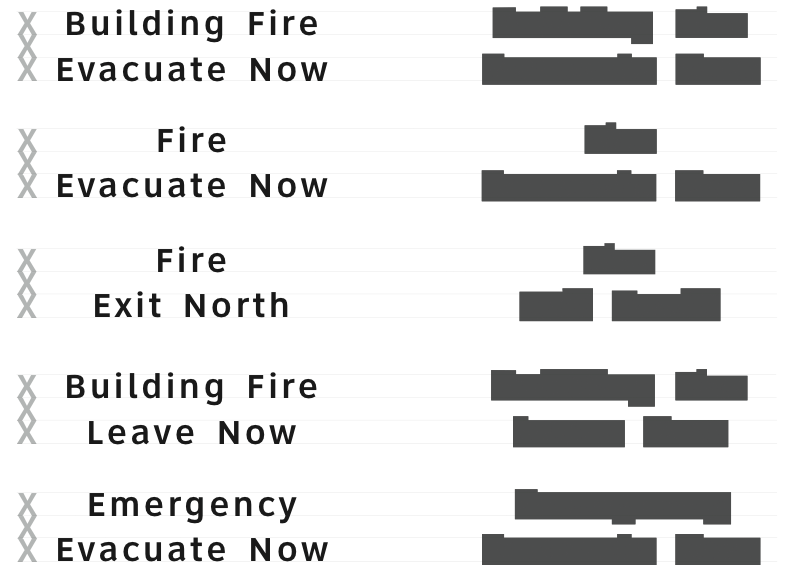 Current emergency notification devices only work well for the typical English speaking individual. Why are we ignoring the rest of the population? English isn’t my first language. I frequently misunderstand complex English words. I have to balance the need to inform the campus with the responsibility to prevent panic. I look to the classroom signage for important updates to my schedule and campus life. As a deaf individual, I’m concerned that I may miss important safety messages. I get updates on campus situations at the same time as the students. In emergencies, we are equal. If I encountered a situation while visiting, I wouldn’t know what to do, where I am or where to go. Power Outage Most LED models are powered over the data connection which makes installation easier, but the sign can’t function autonomously if the data connection is disrupted. LCDs require large amounts of power and are useless without the building’s power supply. Data Connection Can’t function without data connection. This creates a dual risk of failure because of the combined connection. Could function without data if set up properly. 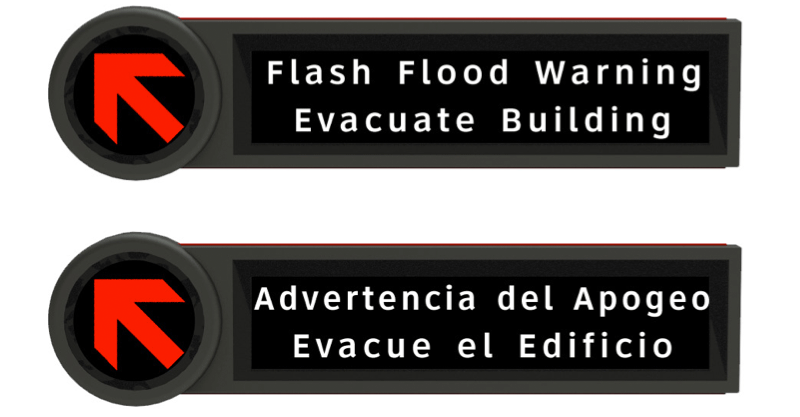 Deaf Users User can reliably read the display, but may not be alerted to its important in an emergency. Can reliably read the display, but may not be alerted to its important in an emergency. Non-English Speaking Users User has a low probability of interpreting display unless accompanied by symbols or an alternate language. Low probability of interpreting display unless accompanied by symbols or an alternate language. Existing products have limited color options of yellow, green and red. This doesn’t create high contrast with the background of the sign. Pixel density is very low. This creates hard to read fonts similar to those used on early computers. 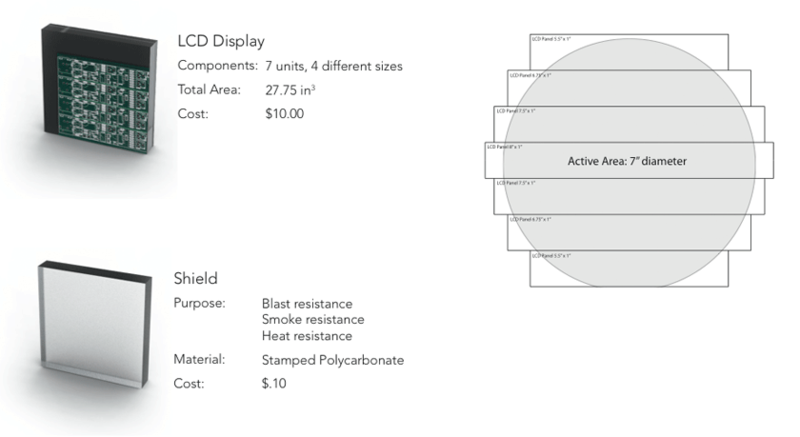 Could E-Ink displays used in consumer e-book readers be applied to digital signage to improve readability? 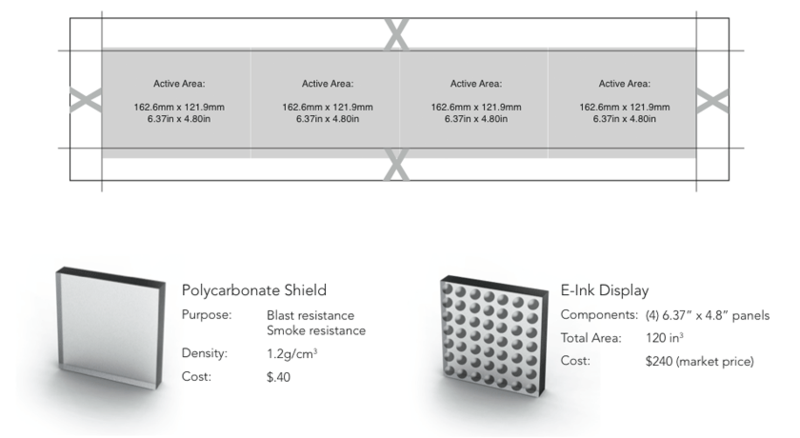 E-Ink is commercially produced product by the E-Ink Corporation. 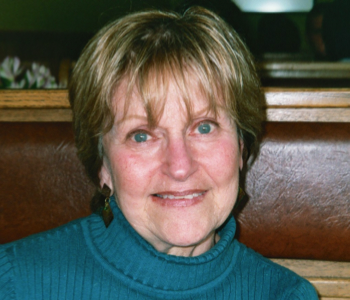 The company was based off of research into electronic books headed by Joseph Jacobson from MIT’s Media Lab. E-Ink has only materialized in consumer electronics in the form of E-Book readers. Most notable are the Amazon Kindle and the Barnes and Noble Nook. Recent developments have seen E-Ink used in the out buttons of the Samsung Alias 2 cellphone and on the cover of one issue of Esquire Magazine. 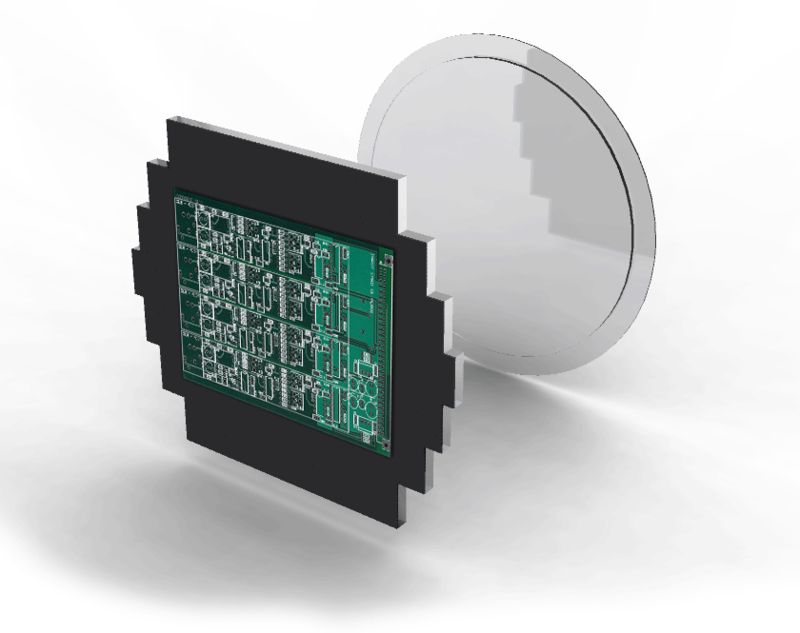 These product use E-Ink for its two main features: low power consumption and ability to retain its message without power. This is ideal in an emergency situation where power and data connectivity may be sparse or non-existent. 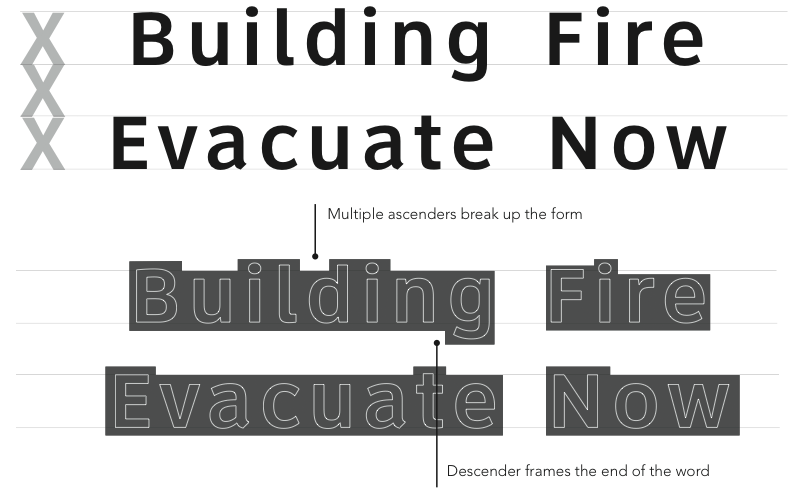 Can modern typeface research be combined with an E-Ink display to create a superior notification device? 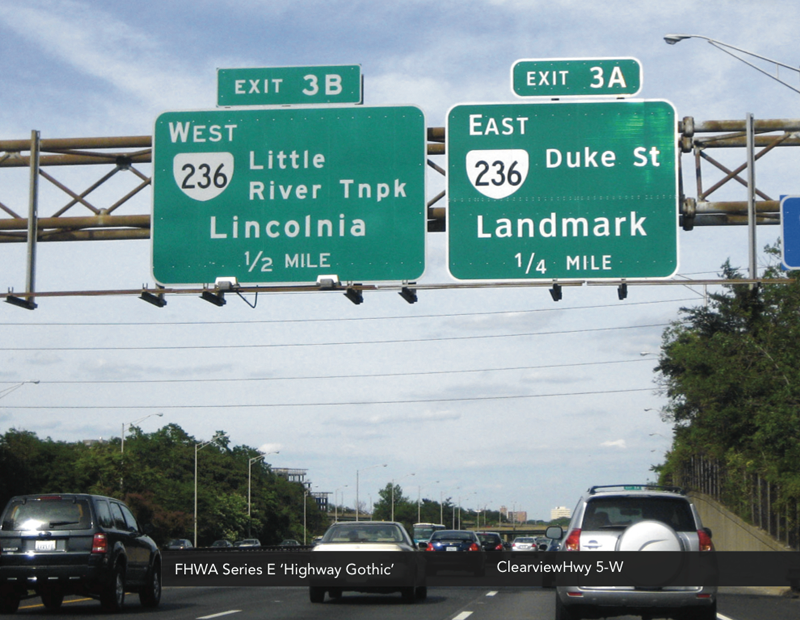 The ClearviewHwy typeface was developed out of a Federal Highway Administration research program to increase the legibility and ease of recognition of road signs. This research was specifically targeting older drivers which were suffering degraded comprehension of signs on modern, highly-reflective materials. Improves night time reading distance by 16%. That’s a 1.2 second improvement travelling at 45mph. 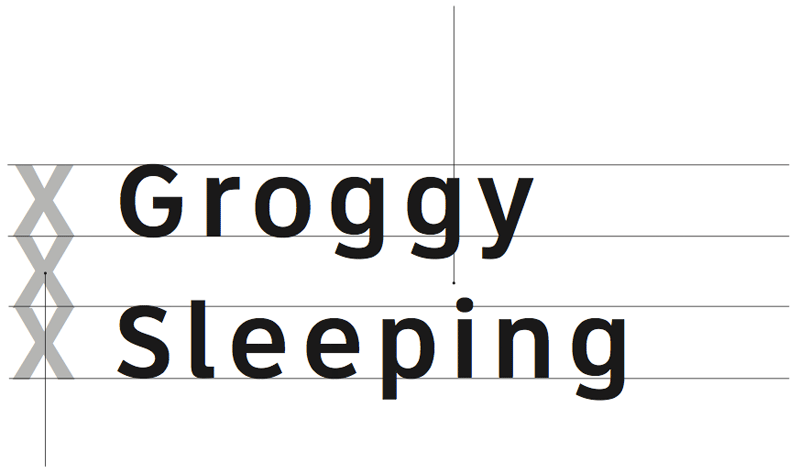 Adequate space is contained between the first line’s descenders and the second line’s ascenders. 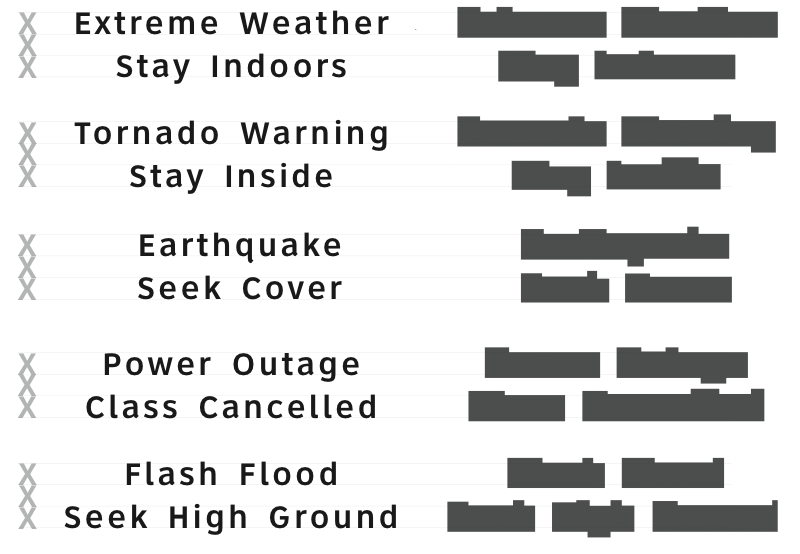 Shouldn’t emergency messages be crafted by a designer to be highly readable? Instead of reading individual letters, the eye recognizes the shapes of common words and matches that to a library of shapes in your brain. The more irregular the shape of a word is the more recognizable it is, especially at long distances. 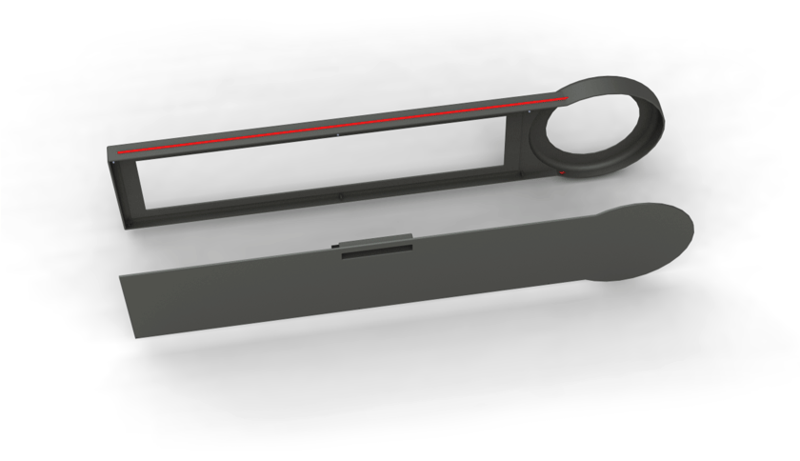 What does a properly designed indoor emergency notification device look like? How can you justify purchasing notification equipment if it hasn’t been tested? 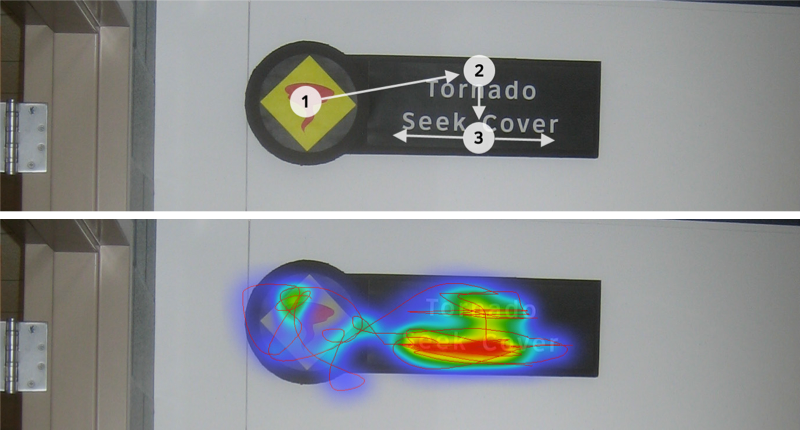 Eye-tracking equipment was used to test different locations and configurations of the indoor sign. 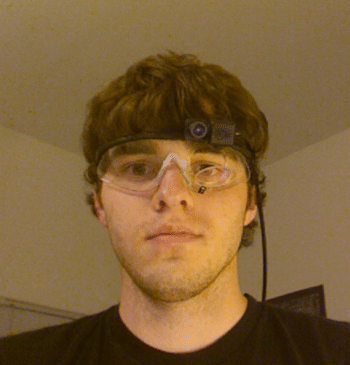 Test subjects were put through a series of tests to measure visibility, reaction times and other metrics. 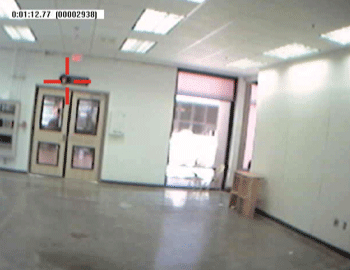 In the first test, the participants were asked to walk into a room without an existing notification device to record where they would attempt to look for one. Looking toward top left of the wall for a notification device. 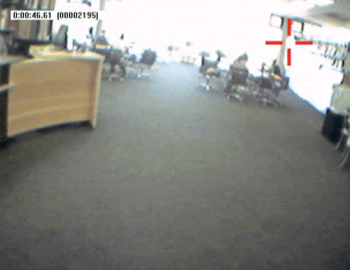 Subject is looking towards the top of the pillar in the upper right hand corner of the video. 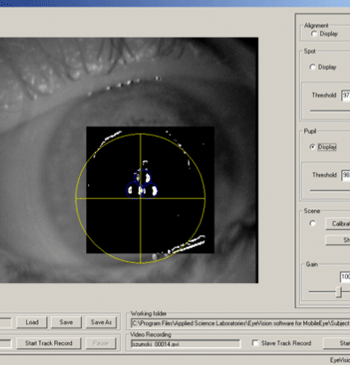 The second eye tracking test was to have users enter another room with the prototype notification device and have them identify where it was, read the message and comply with the instructions. 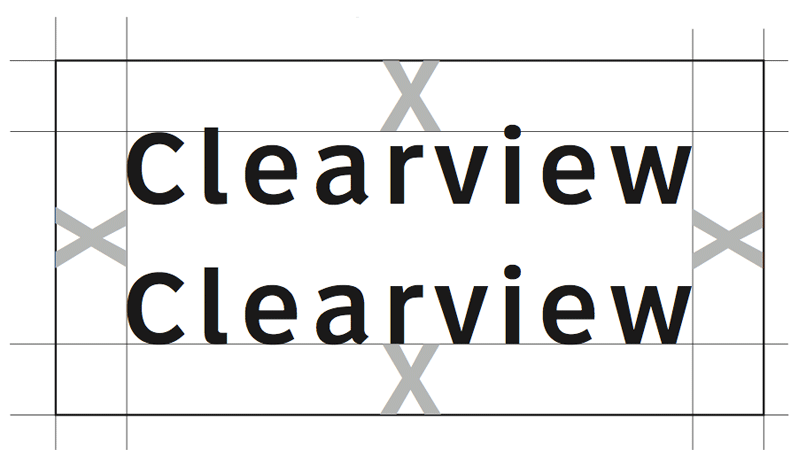 This was tested with and without a directional arrow instead of an icon. The subject has spotted the prototype and is gazing at the iconography. 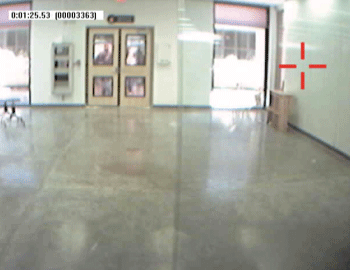 Subject is scanning the wall while entering the room. Each subject’s gaze pattern was combined into a heat map of where they tried to find a notification device from Test 1. 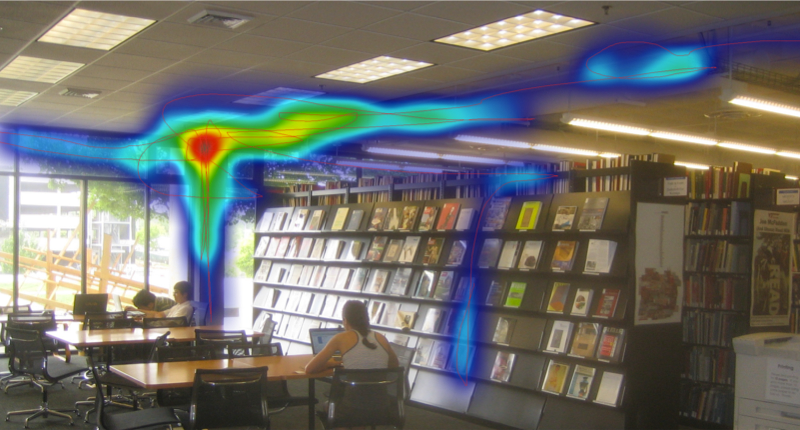 Eye Tracking video was condensed into a visual heatmap of all of the subjects gaze patterns while reading the prototype. Eye tracking equipment kindly furnished by a grant from the National Science Foundation.